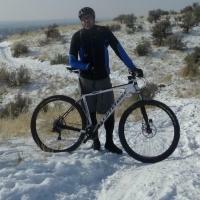 Modern mountain bikes are complex, but you can easily learn basic skills. I understand your dilemma. You’re not mechanically inclined, and your mountain bike looks dangerously close to a Rube Goldberg contraption. It has a myriad of moving parts, gears, bearings, hydraulics, and cables. Maybe you’re not comfortable working on your bike, but you don’t want the hassle of taking it to a bike shop for every little thing. Truth be known, most of us can’t work on everything on our bikes, but all of us can work on some things. 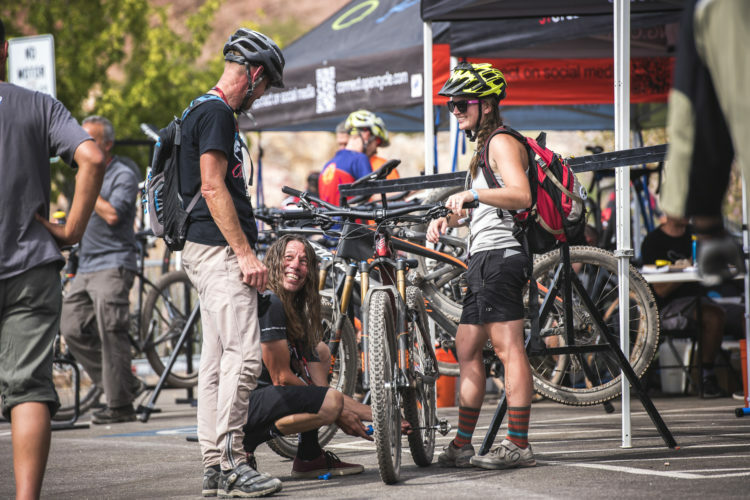 There are basic maintenance tasks you can do to keep your mountain bike running smoothly that require little or no mechanical skills. They will, however, help you better understand how your bike works. Not only will these things make it function properly, they will also tailor it to you and your style of riding. Wash your bike: Pretty self explanatory, but remember, no pressure washers or even high-pressure nozzles on your garden hose. You might blow water and grit into your bearings, bottom bracket, and suspension seals. Also, no heavy solvents or harsh detergents. Warm water and dishwashing soap will do the job. 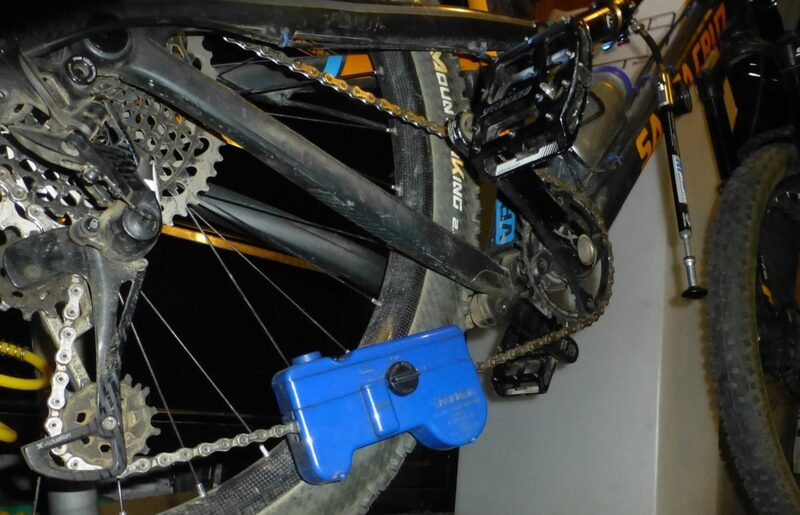 A clean chain does wonders to keep a smooth, efficiently running bike, and a chain scrubber makes the job easier. Clean your drivetrain and lube your chain: This is arguably the simplest thing you can do to keep your bike running smooth and efficiently. All you need is soap and hot water or a solvent, such as Park Tool Chainbrite Chain Cleaner or a citrus-based solvent, along with a rag or scrub brush. You can also buy a mechanical chain scrubber that makes the job easier. One way to keep your chain manageable is ditch the cheap lube (no more 3 in 1 oil) and buy good chain lube. 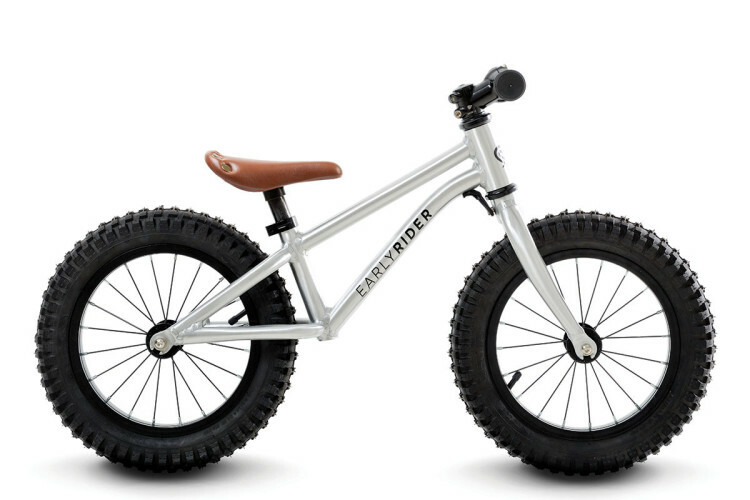 Get one that matches the conditions where you ride, whether dry and dusty or damp and loamy. 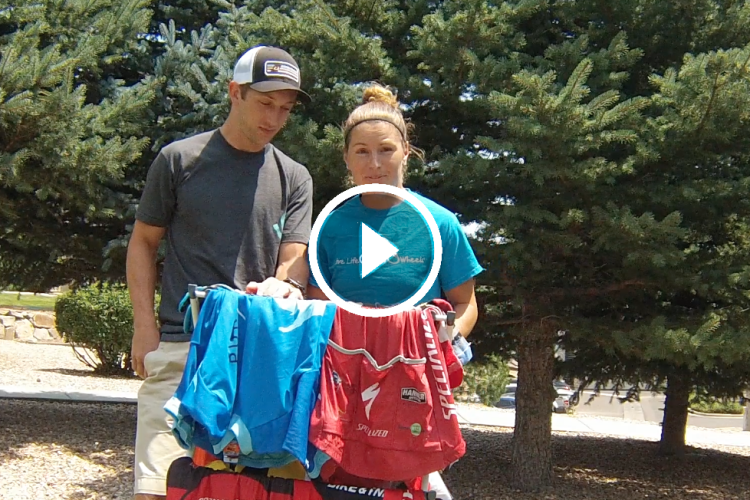 Check with a bike shop and see what they recommend, and don’t get sticker shock. Used sparingly, a bottle will last a whole season. Also, don’t over lube your chain and don’t oil the outside plates. It just makes a mess and doesn’t improve anything. Check for chain stretch: You will need a chain stretch gauge for this, but it’s an inexpensive tool that’s easy to use. Replacing a chain before it’s overstretched will prolong the life of your drivetrain, which easily offsets the tool’s cost. Check the air pressure in your tires: Even people with 10 thumbs and two left hands (no offense, lefties) can do this, and it’s important because tire pressure affects traction and how your bike handles. Whether you run tubes or tubeless tires, your tires will deflate over time. I check my air pressure before every ride; it’s just a habit, and I have my preferred pressure for each tire written on a white board in my garage. A couple of inexpensive tools makes adding sealant to your tires a quick, simple job with no mess. 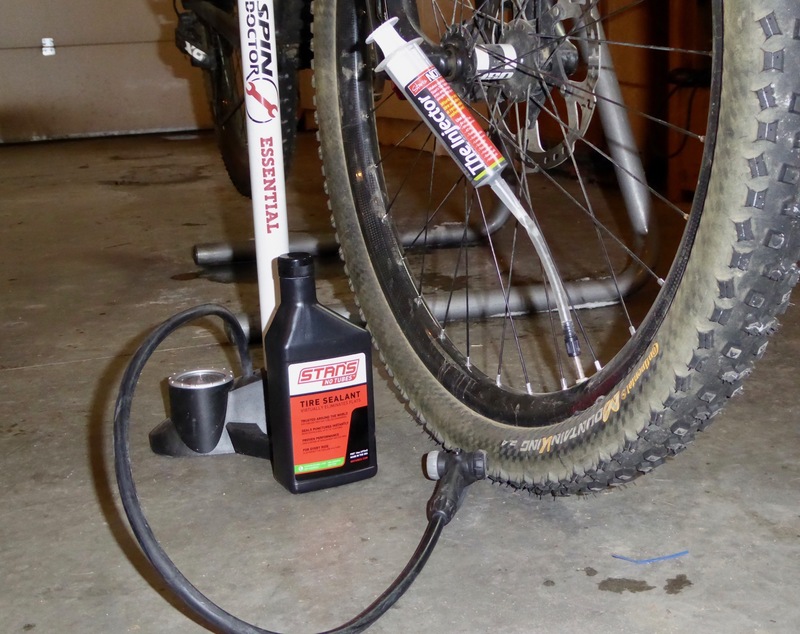 Add sealant to your (tubeless) tires: Invest in the proper tools and this is a breeze. Get a valve stem remover and an injector that attaches directly to the stem. It makes the job simple and clean. Otherwise, you have to pop a section of tire off the rim to add sealant, which is a little trickier. Although I’ve done it many times, I doubt I’ve ever done it without spilling sealant on the floor, but that’s just me. I’m kind of messy, which is why I saved myself the hassle and bought the valve remover and syringe. Change a tire: You probably know how, or have a pretty good idea. Get a decent set of tire levers to make the job easy. I like stout ones, not the inexpensive, flimsy ones. Even the higher-priced ones are cheap (about $5 a pair) and will last indefinitely. 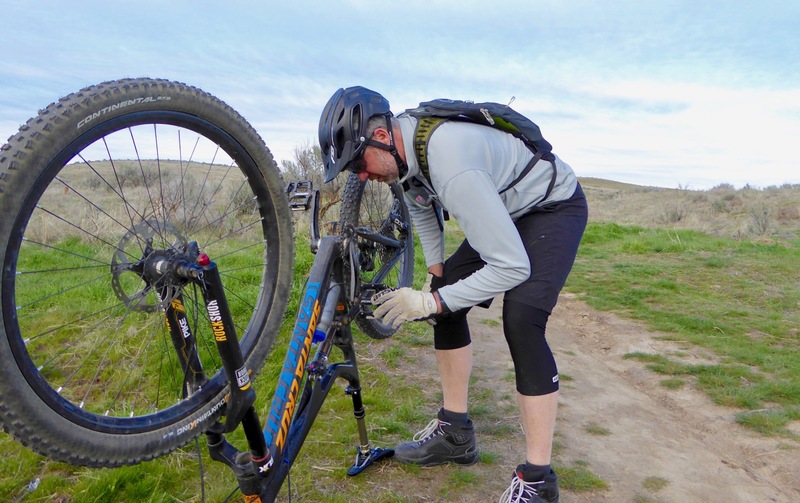 If you’re running tubeless tires, getting them seated on the rim can be a little tricky, but here are two tips. Use soapy water around the bead to help seat it. You may need an air compressor to seat the tires, especially if they’re new. 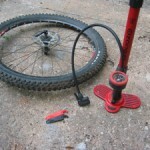 If you’re still struggling (it happens to all of us sometimes) put a tube in the tire and inflate it, then deflate the tube, remove it, and reinstall without the tube. You may want to leave the inflated tube in overnight before removing it. Do this before adding sealant. Check your bolts: An allen wrench set, maybe a few torx bits, and screwdrivers will usually cover all the fasteners on your bike. 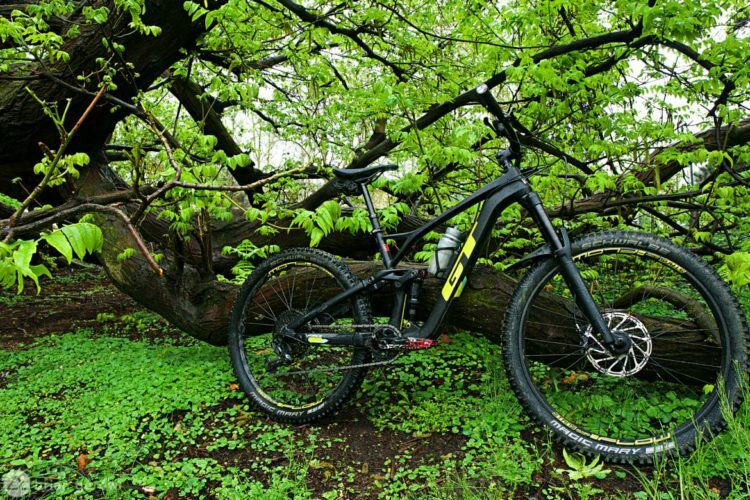 Mountain bikes undergo a lot of stress and vibration, which can lead to loose screws and bolts. Lose one in a critical place when you’re riding and you could have a serious problem on your hands. Some fasteners may need to dab of grease to keep them from seizing, while others may need a drop of blue Locktite to keep them in place. 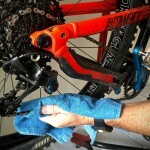 Ask a bike mechanic for recommendations. 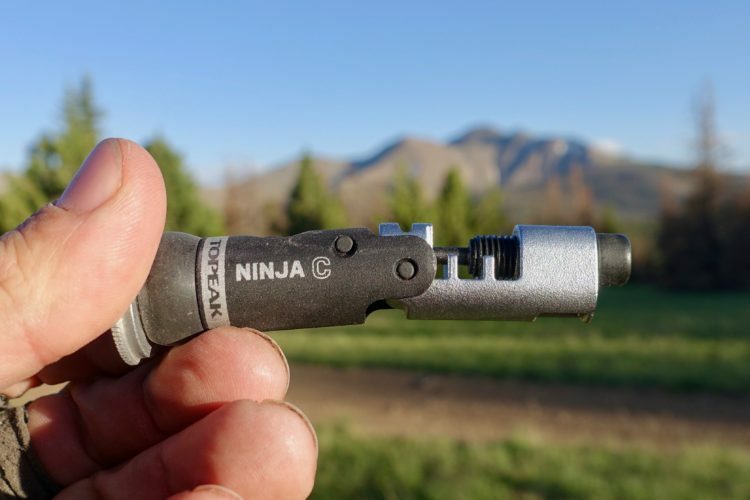 Use a torque wrench: Many fasteners should be torqued to certain values, especially when they’re attached to a carbon frame, carbon bars, seatpost, etc. Professional-grade torque wrenches can be expensive, but you can find reasonably-priced consumer models that will suffice. 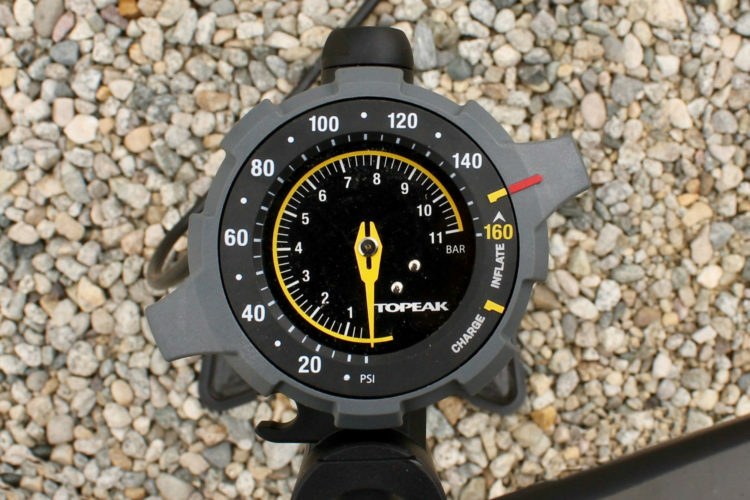 Be sure to follow all the torque specs for your respective bike and component models. 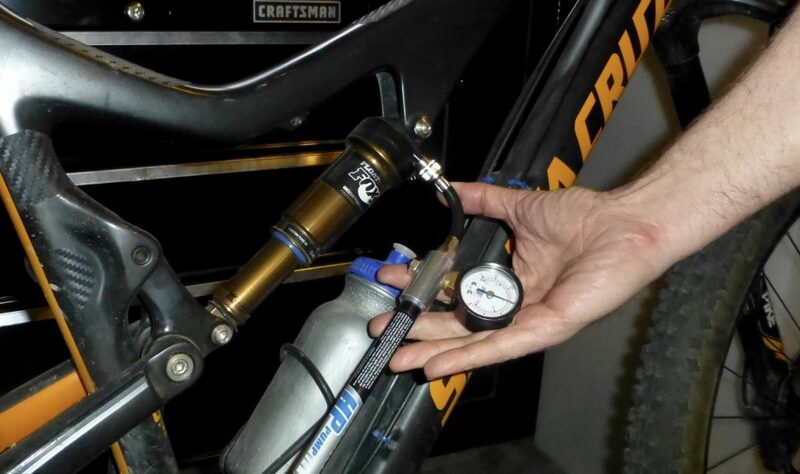 Adjusting the air pressure in your shock can dramatically change how your bike handles, and anyone can do it. Check the air pressure in your fork and shock: You will need a shock pump for this, which you should already have, but if you don’t, get one. 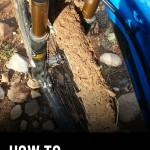 This is an easy way to improve how your bike rides, especially if it has full suspension. Experiment with pressures and get comfortable checking and changing them. 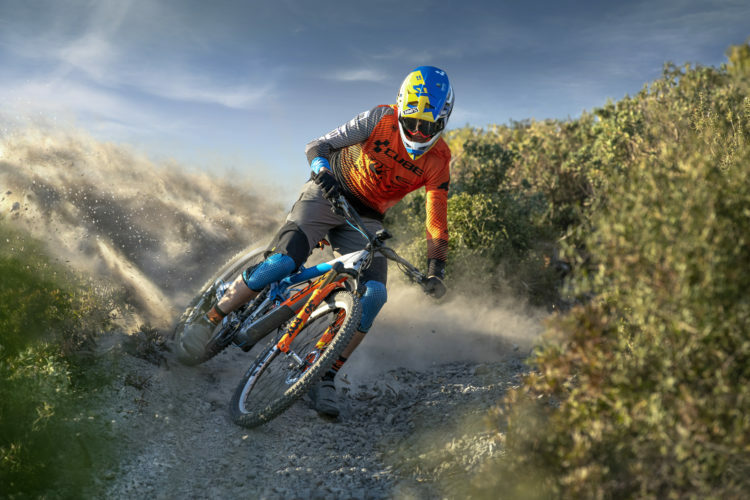 You will be surprised how much changing air pressure affects how your bike reacts to different terrain. Adjust your suspension: Adjusting air pressure is one way, and adjusting the compression damping and rebound is another way. Don’t worry, you can’t really mess anything up because you’re just turning knobs. Keep track of where you start. For example, turn a knob counter clockwise and count the clicks until it stops. Write it down. Now you can experiment and know how to get it back where you started. My RockShox fork has a handy guide in the form of a rabbit and turtle to help me know if I’m adjusting faster or slower. There’s lots of information available about adjusting your suspension, so do yourself a favor and watch a video about how to do it. Don’t expect your mechanic to know how you want your suspension to feel. Suspension settings are personal and subjective. It’s like asking someone to pick a comfortable pair of shoes for you. Your Turn: Any easy maintenance tasks to add? Share them in the comments section below!